There is a new judge on the show this season as Charles [Charly Boy] Oputa joins Yinka Davies and Jeffrey Daniel for Season II. 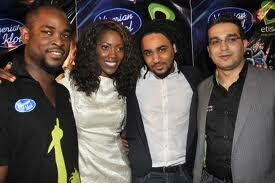 According to Season 1 Judge and Chocolate City CEO, Audu Maikori, “Nigerian Idol is an exciting brand to work with and I enjoyed myself immensely. I am sure all the judges will have blast in Season II.” Popular female musician Tiwa Savage and Veejay Ill Rhymz also join the show as hosts. The winner’s package this year, including management fee, record label contracts and the prize money has been increased to the value of $100, 000. Each of the runners-up and top ten finalists also get mouth watering consolation prizes.